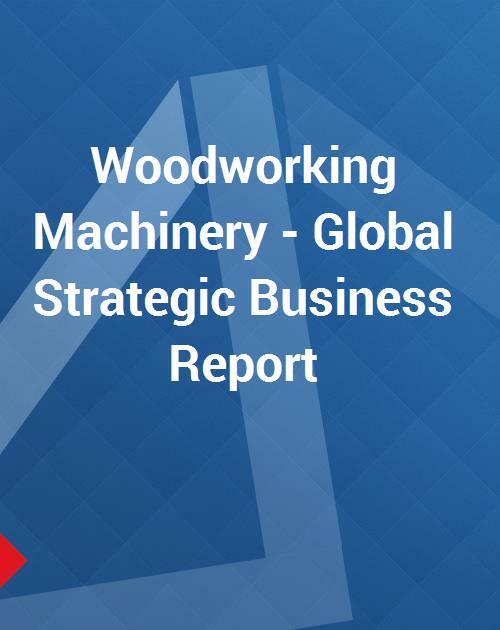 This report analyzes the worldwide markets for Woodworking Machinery in Millions of US$. The specific product segments analyzed are Boring & Dowelling Machinery, Mortising, Tenoning & Chucking Machines, Lathes & Molding Machinery, Planing Machines, Routing Machines, Sawing Machines, Sanding Machines, Gluing, Laminating & Assembling Machines, Logging & Sawmilling Machine, Tooling Machinery, Pallet Production Machinery, Multifunctional Machinery, Miscellaneous Machinery, Parts, and Attachments & Accessories. The report provides separate comprehensive analytics for the US, Canada, Japan, Europe, Asia-Pacific (excluding Japan), Middle East, and Latin America. Annual forecasts are provided for each region and product segment for the period of 2001 through 2010. A ten-year historic analysis is also provided for these markets with annual market analytics. The report profiles 606 companies including many key and niche players worldwide such as Babcock, Black & Decker, Biesse Group, Blount International, Bourn & Koch, Casolin, C.M.S. SpA, Hans Weber Maschinenfabrik, Homag, Lemex, Makita, Michael Weinig, Pilana Tools, Rojek, SCM Group, Shopsmith, TOS Svitavy, and Wilhelm Altendorf. 32. Avola Maschinenfabrik A. Volkenborn GmbH & Co., KG. 544. Toskar Makine Yedek Parca Imalat Ticaret VE Sanayi Ltd.